Are you suffering from knee pain? Is it painful to walk, do stairs or run? Have you been injured in an accident or did you slip and fall? Ski injury, hockey, football, or soccer? Knee pain is one of the most common injuries seen at our office! The knee joint was not a well designed joint. There are many structures in the knee that can cause pain. Injuries to the meniscus ( a shock absorber of the knee), are common as are injuries to the ACL ligament. Traumatic injuries in accidents can cause damage to the ligaments or the muscles or both. Osteoarthritis can also cause pain in your knee especially after many years of wear and tear. Regardless of the cause of your knee pain – from sports injuries to simple genetics – at PhysioNow we can help you get back on your feet. Our therapists are trained to evaluate all aspects of your knee and determine the source of the pain.Treatment is aimed at reducing your symptoms as quickly as possible, advising you fully of the source of the pain and helping you to get back to your activities as soon as possible. We will collect the results of any diagnostic tests that you have already had done and advise both you and your doctor if we feel that any additional diagnostic tests are necessary. We will explain what the results of any diagnostic tests mean, advise you of all of your treatment options and recommend a path of best treatment for you. Sometimes a custom knee brace can keep you active in your activity of choice as you work your way through treatment. If it is advisable and recommended for your particular injury, we have custom knee braces and off the shelf braces available. We will recommend the best brace for your specific injury. We will provide all of the necessary documentation to your insurance company so that you may recover some or all of your costs depending on your plan. The most common causes of knee pain are: meniscus injuries or wear and tear from arthritis( joint pain). It is also possible that you can get pain from under the knee cap: called patellofemoral pain. This however, is less common. Lastly, it is possible to get pain below the knee in the patellar tendon. This is called jumper’s knee or infraptellar tendonitis. 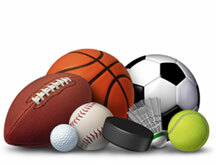 The good news is that all of these can be treated with Physiotherapy! How effective are cortisone treatments for knee pain? The short answer is: it can help to reduce knee pain. The long answer is: cortisone injections have been shown to damage the remaining cartillage and therefore in the long run, we do not recommend them unless you are already ready for a new knee. Conservative care with Physiotherapy has been shown to be as effective in treating most knee pain and has no side effects. We recommend a course of 3 months of Physiotherapy before trying a cortisone injection. In what cases are knee procedures or surgery necessary? Knee surgery is recommended when you have whats called a ‘bucket handle’ type of injury to your meniscus. The only way to know if this is what you have is if you have had a CTscan or MRI done. Conservative Physiotherapy is not effective in these cases. Surgery is recommended. The other time that surgery is recommended is when your knee cartillage has completely deteriorated. Unloader knee braces can help to buy you time. 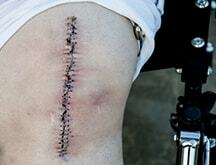 Ultimately, though, there is a point at which only knee replacement surgery will help to get you back to your life. How will physical therapy help with knee pains? Physiotherapy can include the use of a variety of modalities that can help to reduce pain. In addition, the Physiotherapist can use hands on treatment techniques that can help to reduce your pain. Lastly, the Physiotherapist will teach you specific exercises that can help to reduce or eliminate the pain and get you back to your normal activities as quickly as possible. 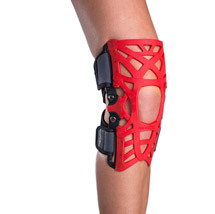 What will wearing a brace do for my knee pains? There are a variety of knee braces available on the market. Custom Knee Braces can be helpful to unload your knee if there is a lot of arthritis in one part of your knee. These are very effective in reducing pain. Braces can also be very helpful if you have ligament injuries such as an ACL tear. The brace can support your knee while you are healing and prevent further injury. 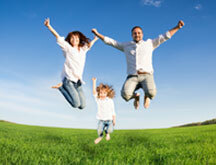 Braces can help you get back to your normal activities faster. It is very important to get properly diagnosed if you have knee pain. Not all braces are created equally. You will need the right brace for the right knee injury. Our Physiotherapists at PhysioNow can assess your knee and recommend the proper brace for your injury. 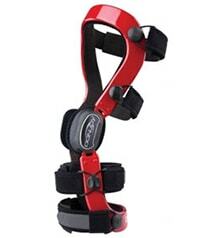 We carry a variety of off the shelf knee braces and we can provide a Custom Knee Brace if it is appropriate for you.